During the height of the Kargil crisis in 1999, an Indian Air Force fighter pilot mistakenly put a Pakistani military base in its sights and was ready to bomb it, but was pulled back by his superiors, ex-senior officials of the IAF said today. The June 24, 1999, incident had the potential of triggering an all-out war between the two nuclear armed neighbours as, according to Pakistani media, Prime Minister Nawaz Sharif and then Pakistan Army Chief Pervez Musharraf were present at the base or were in the vicinity. According to IAF officials who were then holding senior positions in the IAF's Western Air Command, a flight commander was tasked to bomb Point 4388 in Kargil but he instead ended up aiming at a Pakistani military base in Gulteri through a cockpit laser designation system (CLDS). The incident was first reported today by The Indian Express newspaper. Under protocol, a Jaguar pilot first "lased over" the area using the CLDS while a second Jaguar was to drop the bomb on the target coming in the pre-designated path identified by the first one. "Lasing" refers to locking in on the coordinates of a target. Such a protocol of using two fighter jets was used then as only trainer Jaguars had the CLDS system. The Pakistani media had reported on June 25, 1999, that Sharif was in Gulteri where in an address to the troops he had called for a dialogue with India to defuse the war-like situation along the Line of Control. The Indian Express said both Sharif and Musharraf were present at the base when it became the focus of the IAF jet's target, even though the government -- then headed by Atal Bihari Vajpayee -- had not allowed the IAF to cross over the LoC. When contacted, an IAF spokesperson said he would not comment on operational issues. Retired Air Marshal A K Singh, who was a senior officer in the Western Air Command then, said he was also airborne when the two Jaguars went for the operation. He said the pilot of the first aircraft called him and told him that the target was a big military camp and that he had it on the CLDS. "The time was around 8.45 AM. I was airborne in the area. When he told me about the target, I told him not to fire." At the time, Retired Air Marshal Vinod Patney was the Air Officer Commanding-in-Chief of the Western Air Command, and was overseeing IAF's operation in Kargil. When contacted he told PTI that when the pilot of the first aircraft had a doubt about the target, he told the pilot of the second jet not to fire. 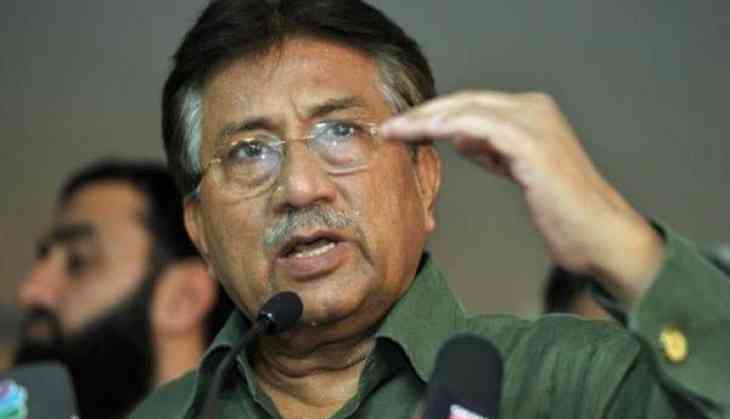 Both Air Marshal Singh and Air Marshal Patney said they were not aware of the presence of Sharif and Musharraf at the Gulteri military base that day and the matter was never discussed in official meetings.